The New York Mayor's Trophy Game: By 1962 New York now had established a National League franchise in the city. Although top position players usually participated, pitchers were brought up from AAA to preserve the staff. In 1963 The New York Mets traveled to the Bronx, to play in their first Mayors Trophy Game. 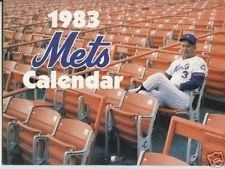 After a June 3rd rain out, over 50,000 fans, mostly "New Breed" Mets fans, piled into the old Stadium on June 20th. They came with their placards & banners, but most were confiscated by the stuffy AL New York teams workers. 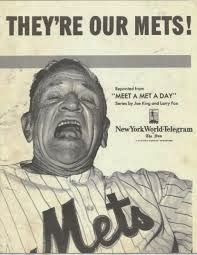 Casey Stengel got some revenge against his old team, as the Mets took the game 6-1. Stengel went with his best pitcher Carl Willey that day for the win. After a loss at the new Shea Stadium in 1964, where 55, 396 fans showed up, the Mets took the May 3rd 1965 Mayors Trophy Game 2-1. In the bottom of the 10th inning, Chris Cannizzaro was on third base when a young Cleon Jones attempted a squeeze bunt. He was successful as the throw was wide & the Mets won it with veteran Warren Spahn taking the victory. 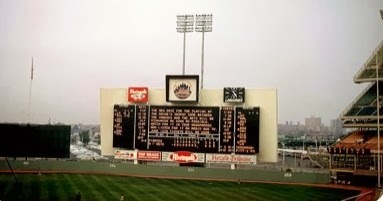 In 1966, the game was back at Shea Stadium. New York's Mayor John Lindsay got greeted with boo's on this June 27th night game. Whitey Ford beat the Mets 5-2 behind HRs by Ray Barker, Billy Bryan & Joe Pepitones. Pepitones blast was remembered by Ralph Kiner as one of the longest he ever saw at Shea. In 1967, the Mets; Don Cardwell, Dennis Bennett, Bob Shaw & Jack Lamabe combined for a five hit shut out. 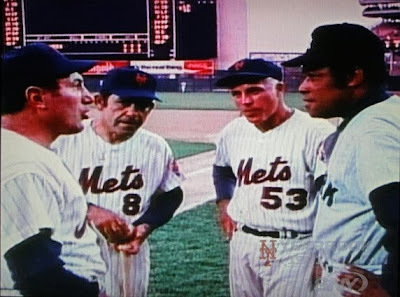 In 1968 back at Shea, the Mets made it two straight as 35, 1968 saw Don Bosh's triple bounce over the head of Bill Robinson in the 8th inning leading to the 4-3 win. In the Mets Miracle Year of 1969, the original game on July 7th was rained out. The make up was on September 29th, a week before the Mets were to open up the Playoffs against the Atlanta Braves. Despite this, Manager Gil Hodges still played his regulars. Art Shamsky led Mets hitting in the 7-6 victory, as Jim McAndrew got the win, in front of over 35,000 Shea Stadium fans. Over the next three years the Mets lost all the games including two back to back heart breaking one run games in 1971 & 1972. In the '72 game, Bob Rauch served up the game winning HR to John Ellis. In 1973, new Mets; Felix Millan & George Stone were the stars of the game, played at Shea Stadium. The Mets scored five runs in the 2nd inning never looking back in the 8-4 win. In 1974 the AL's Fernando Gonzalez hit a grand slam off the Mets; Mike Wegner in the 9-4 Met loss. In 1975, Ed Kranepool & Dave Kingman received Perfect Man Permanents prior to the game held at Shea Stadium, now home for both clubs. In this game Gorge Stone pitched well after coming back from arm troubles but Randy Tate took the loss after a disastrous 7th inning. After another loss in 1976, just 15,000 fans showed up at Shea on June 23rd 1977 for the Mayors Trophy Game. Despite the smallest crowd ever for the Mets vs AL New York club series, Ron Hodges & Joel Youngblood bother homered leading to a 6-4 Mets win. Farmhand Tom Makowski got the win over Roger Slagle. In 1978 interest had really hit a low as 9,792 fans showed up in the Bronx for the April 27th match up. In the 11th inning Sparky Lyle claimed that Graig Nettles attempted to throw the game, when he threw a ball about ten feet over his first baseman's head on a Ron Hodges ground ball. Nettles denied the charge. In the bottom of the 13th, Mardie Cornejo took the Mets loss, when Fran Healy's suicide squeeze scored Jim Spencer from third. The 1979 game was called on account of rain, ending in a 1-1 tie. No games were played in 1980 nor 1981, as both teams donated cash to the causes. The Mayors Trophy Game resumed in the Bronx, in 1982 as New York's Mayor Ed Koch gave each team "crying towels' before the game. He stated "one of you will need this after the game". Just six hours before the game, Mets pitcher Steve Ratzer, (who never played a regular season Mets game) arrived from AAA Tidewater. His name was sewn on the uniform so fast, the letter "A" fell off during the game. The game was tied into the 8th, when Joel Youngblood drove in John Stearns with what was the winning run. The crowd of 41,614 was the largest crowd the AL NY team drew up to that point. 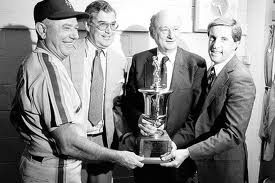 The last Mayors Trophy Game was held in 1983 at Shea Stadium in front of 20,471 fans. Controversy was in the air, as MLB umpires refused to work the game. 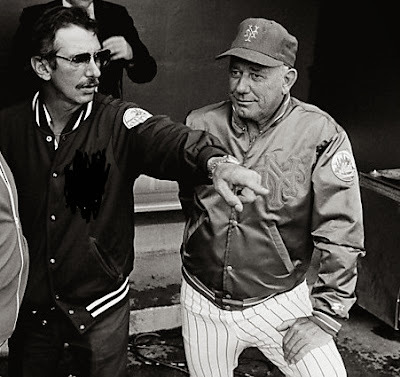 Some say it was because of NL & AL umpires feud over labor practices, others say because Commissioner Bowie Kuhn's had not suspended the AL new York clubs owner, after he questioned the integrity of NL umps in Spring Training. Willie Randolph hit a HR off Rick Ownbey in the 4-1 Mets loss. The classic New York game is forever lost with the development of inter-league play.